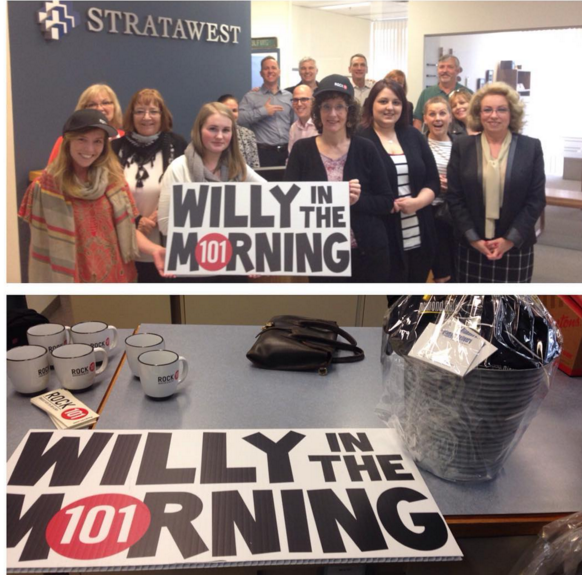 Blog Archive - Page 5 of 9 - Stratawest Management Ltd.
We were pleased to be selected to be “Mugged” by Rock 101’s team of Willy, Kim and Alece on March 22nd, 2016. It was fun to welcome them into the office (free coffee and donuts!) and hear about their glamorous life in radio. An audio excerpt from their show can be found here. A really pleasant treat for our staff! Much has been made of a recent report made to the City of Vancouver regarding vacancy rates, particularly in Strata Corporations where it is estimated that approximately 12% of units sit empty. The City has suggested it may be time to look at either forcing or strongly encouraging Owners to rent their vacant suites out. We are now a few years on from the legislation that requires most Strata Corporations in BC to conduct a Depreciation Report. Nearly all of our clients have either conducted one, or are in the process of doing so- and our Property Managers field a wide range of questions from Councils and Owners alike relating to the reports. We thought it might be helpful, especially in light of recent reports that most Strata Corporations continue to be underfunded, to address some of those questions here at our Blog- for the benefit of all interested parties. Our first article, entitled “Depreciation Reports – Our Position” has more than 5,000 hits at current count- indicating significant interest in the subject. We are heartened by the uptake of most of our clients in the Depreciation Report process, for reasons outlined in our original article and expanded upon below. Please click the following link for an information piece on the coming Civil Resolution Tribunal (CRT). There remains much to be determined related to the CRT including further supporting legislation and the Rules relating to the Civil Resolution Tribunal Act. Once more of this information has been determined and shared publicly, Stratawest will provide a memorandum to clients to share the details. Since our original blog post and the related Vancouver Province article back in March 2015, there has been tremendous discussion around the topic short-term rentals within Strata Corporations, specifically the use of websites such as Air BnB and VRBO by Owners to sublease their units on a nightly or short-term basis. The Condominium Home Owners’ Association of BC (CHOA) Journal published an article by Veronica Franco (partner and Chair of the Strata Property Group at Clark Wilson LLP) which provides more lessons learned, important information, and strategies for addressing the related concerns (spoiler alert: strata councils dealing with short term rental concerns need to contemplate seeking legal advice to assist with review of and revisions to the strata corporation bylaws). From time to time, it is important to be reminded of resources available to us in preparing for emergencies- natural disasters and the like. There are a number of excellent resources already freely available and we don’t seek to duplicate those (nor do we presume to speak as experts on this topic), but we will highlight some of the critical points to consider. Below you will find links to websites that will help you prepare for a disaster. 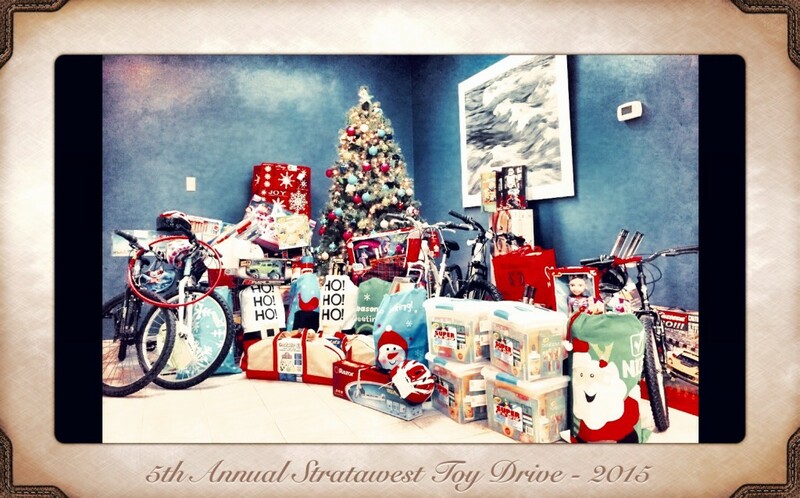 We are so thrilled with the tremendous support we received this year from our many fantastic industry colleagues and our staff for our Christmas toy drive. It was by any measure the biggest haul we’ve netted so far, all on behalf of the North Vancouver Christmas Bureau. This was the fifth year of our annual toy drive, and we received hundreds and hundreds of dollars in gift certificates that parents will be able to use to Christmas shop for their kids, bikes, guitars, toys, iPods, board games, dolls and other amazing gifts for needy local families. We actually had to press our good friends at Ferguson Moving & Storage into service this year to help us get all the goods to the Christmas Bureau, so thanks to them for their wonderful support! As always, none of this happens without you, and we want to sincerely thank and acknowledge the support of our colleagues in the industry and our staff for making this holiday season a better one for so many kids and their families. It is because of the participation and big hearts of many that we are collectively able to make a difference in so many lives, so thank you so much for taking part. On December 3rd, Minister Suzanne Anton announced that British Columbia’s new Guide Dog and Service Dog Act will come into force on January 18, 2016. As some of you may know, the Guide Dog and Service Dog Act was passed by the Legislature earlier this year. We have been informed that corresponding changes to the Strata Property Act will also come into force on January 18, 2016. Strata owners, occupants, tenants and visitors will be able to have their certified guide dog or service dog on strata premises, regardless of tenancy agreements or strata bylaws restricting or banning pets. Owners, occupants and tenants will also be able to keep their certified retired guide dog or service dog with them, including after a new dog has been certified to take over its duties. This serves to acknowledge the bond between a handler and their retired guide dog or service dog. These changes are intended to protect the rights of individuals who rely on guide dogs or service dogs, while providing clarity to strata corporations. In order to be certified, a guide dog or service dog will need to demonstrate that it meets a high training standard for public safety. Once the new program is in place, efforts will be made to provide certified handlers and trainers with standard provincial identification. Not all certified guide dogs and service dogs will necessarily be a specific breed or size – the focus of certification is on the dog’s training to support public safety. Protections under the Human Rights Code may still apply to uncertified dog and handler teams – clients may wish to seek legal advice specific to your strata corporation’s situation if there is a concern in this area. For more information about these changes, please see https://news.gov.bc.ca/releases/2015JAG0296-002012 or visit www.pssg.gov.bc.ca/guideanimal/index.htm. There has been a great deal of media attention over the past few years on the use of drones for a variety of purposes. As the cost of small machines that can take flight plummets, they become more and more common for both commercial and personal use. We have previously written on Access to Records requests that Strata Corporations routinely face. All Strata Corporation records are subject to various pieces of legislation, most notably the Strata Property Act (SPA) itself. However, SPA is subservient to other provincial and federal legislation such as the Personal Information Protection Act and PIPA overrides SPA in a variety of circumstances. These guidelines will help strata corporations and strata agents in discharging their duties under the Strata Property Act (“SPA”) in a manner that respects the privacy of owners and tenants under the B.C. Personal Information Protection Act (“PIPA”) and promotes transparency in the operation of strata corporations.